Cinderella did it first, TBH! Meghan Markle wore a stunning long-sleeved boatneck dress designed by Clare Waight Keller (the first female artistic director at Givenchy) during her Royal Wedding to Prince Harry. While the silhouette was fairly modern, it was ACTUALLY one we've seen before—in a Disney movie, no less. 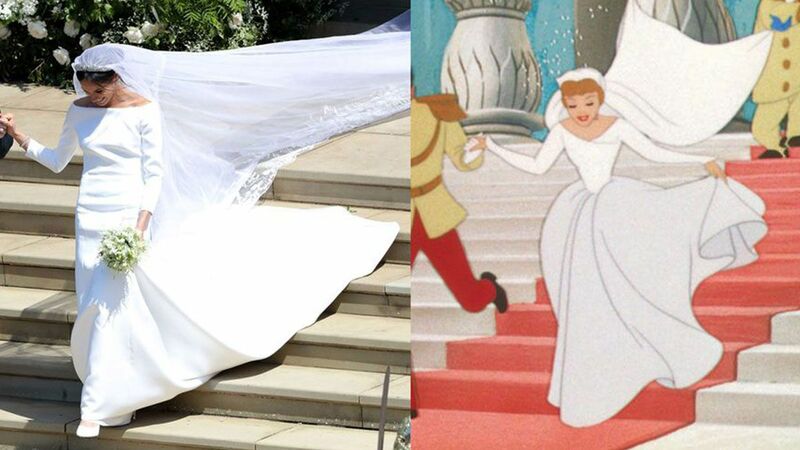 Twitter was quick to point out that Meghan was essentially wearing a more streamlined version of the dress Cinderella wore during her wedding to Prince Charming in Disney's Cinderella. Meaning, she literally dressed like a Disney princess on her wedding day, and NAILED IT. The only way this could have beeen better was if a fleet of friendly mice had held up her veil.